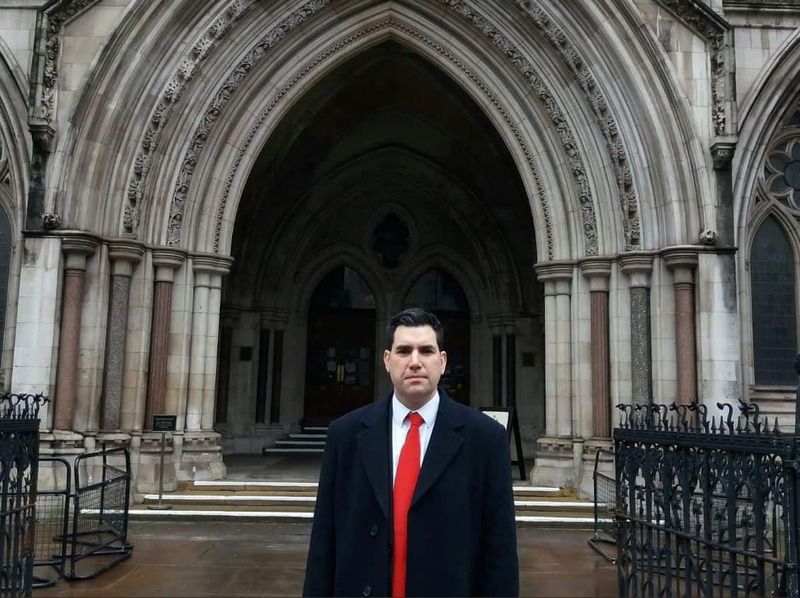 Labour MP Richard Burgon has won £30,000 damages from The Sun newspaper over a ridiculous story the newspaper ran with a Nazi “slur” about the Shadow Justice Secretary. MP Richard Burgon who has been outspoken against antisemitism said he would be using the payout to fund an internship for a young person in his constituency. 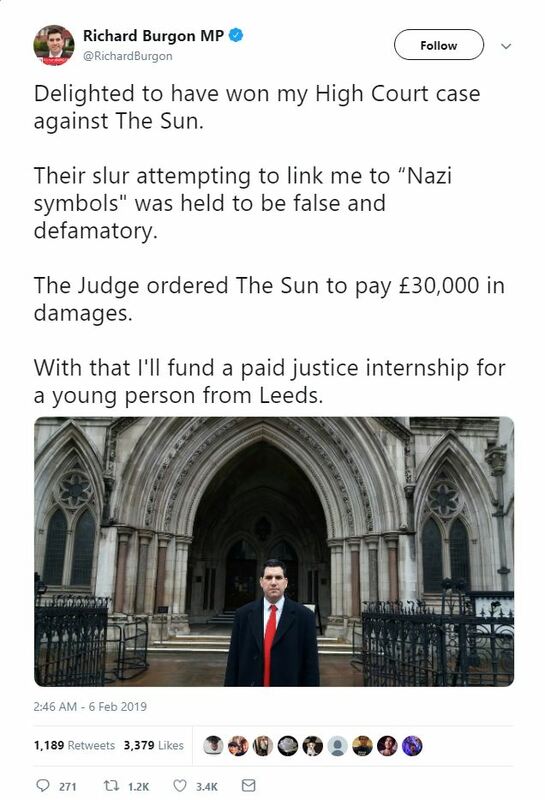 “Delighted to have won my High Court case against The Sun,” announced the Labour MP for Leeds East. The bizarre article had defamed the Leeds MP suggesting that he had appeared with a band from his constituency on stage once. However the High Court found that the post had nothing to do with the SS. 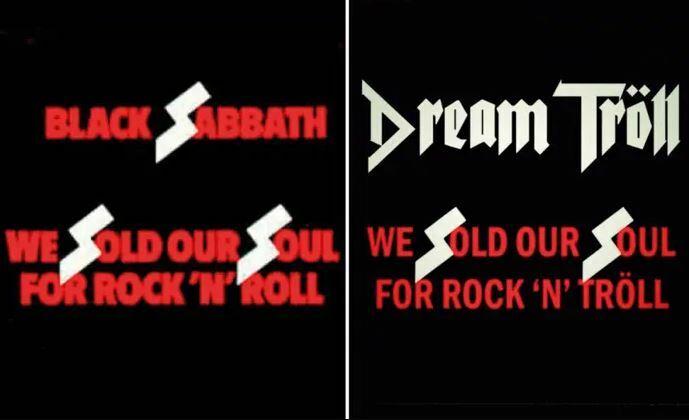 – The metal band’s typeface harked back to fellow hard rockers Black Sabbath, not the Nazi German units. The article as you might expect was found to be false and defamatory. In a statement, The Sun said: “We are deeply disappointed by this judgment and we will be appealing. Polling has recently found that there is a perception among British Jews that Labour is more tolerant about antisemitism than other parties, despite Labour being the only party to have a policy on antisemitism, as well as an inquiry and report by barrister Shami Chakrabarti. This perception may be due to the continuing slew of such stories in the press such as The Sun which far outnumber stories about other political parties and racism. Polling has also recently found that Conservative supporters are more likely to support antisemitic statements than Labour Party supporters, with Ukip supporters even more likely too. Studies have consistently found antisemitism more prevalent on the right, especially the far right. We reported on some of the unsavoury figures invited to the Ukip party conference over the summer.